If you are looking to do a hard reset or unlock Android on the LG Optimus F5, this is the article for you. In this article we’ll show you two ways to do a factory reset of LG Optimus F5. As usual we will demostrate for you both methods to do a hard reset on LG Optimus F5. Each of these processes are used for a certain circumstance, depending on if you have access to the Android operating system or not. 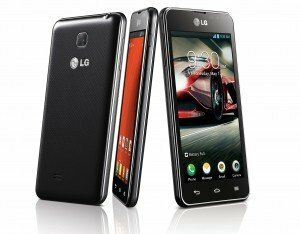 Use this method if you need to restore the LG Optimus F5 phone without going to the device menu, either because you have a LG Optimus F5 system error or because you have forgotten the unlock pattern. Release the buttons when a screen announcing the hard reset appears. With the volume keys select “Wipe Data / Factory Reset” and press the lock button to accept. Select “Yes – Delete all user data”. With these simple steps will have unlocked Android on the LG Optimus F5 easily. This second method to unlock Android on the LG Optimus F5 device can be used by users who have access to the operating system and just want to do a general maintenance reset. Go to Settings> Backup and Restore> Reset phone> Erase everything. With these simple steps we were able to unlock Android on the LG Optimus F5 in a fairly easy way, do not forget that the comment section is open to questions and suggestions.